The Oklahoma Supreme Court has elected John Reif of Tulsa to serve as the high court's new chief justice, effective Jan. 1. The court announced the results of its elections on Tuesday. The nine-member court also elected Justice Douglas Combs of Shawnee as vice chief justice. 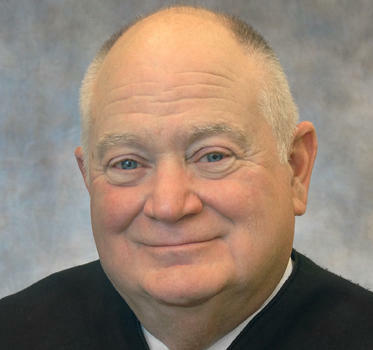 Reif will replace Chief Justice Tom Colbert, who will rotate out of the chief justice position. Both Reif and Combs were appointed to the Oklahoma Supreme Court by Democratic Gov. Brad Henry. Reif was a longtime judge on the Oklahoma Court of Civil Appeals, and Combs is a former district judge for Pottawatomie County. The chief justice of the Oklahoma Supreme Court typically rotates every two years. The Oklahoma Supreme Court says Republican state Rep. Fred Jordan of Jenks is eligible to become Tulsa County's district attorney, even though a raise for prosecutors was approved during his term in the Legislature. In a 5-1 ruling on Friday, the state's highest court ruled that a provision of the constitution did not apply to Jordan, since he wouldn't become district attorney until after his legislative term ends. An attorney says the Oklahoma Legislature engaged in "unprecedented expansion" of its authority when it passed legislation repealing Common Core education standards for English and math. Attorney Robert McCampbell made the comments Tuesday during oral arguments before the state Supreme Court in a lawsuit that alleges the legislation is unconstitutional.